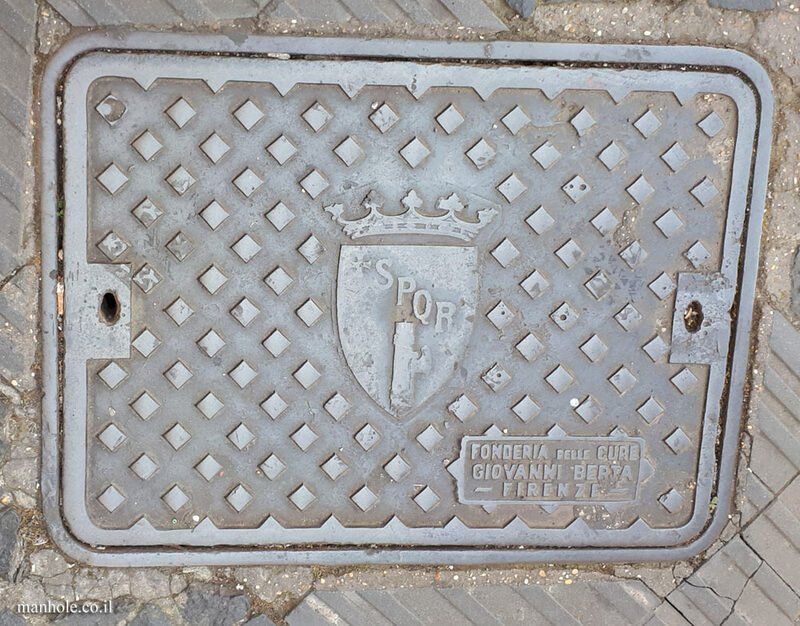 Two covers claim to the crown and both are from Rome, Italy. 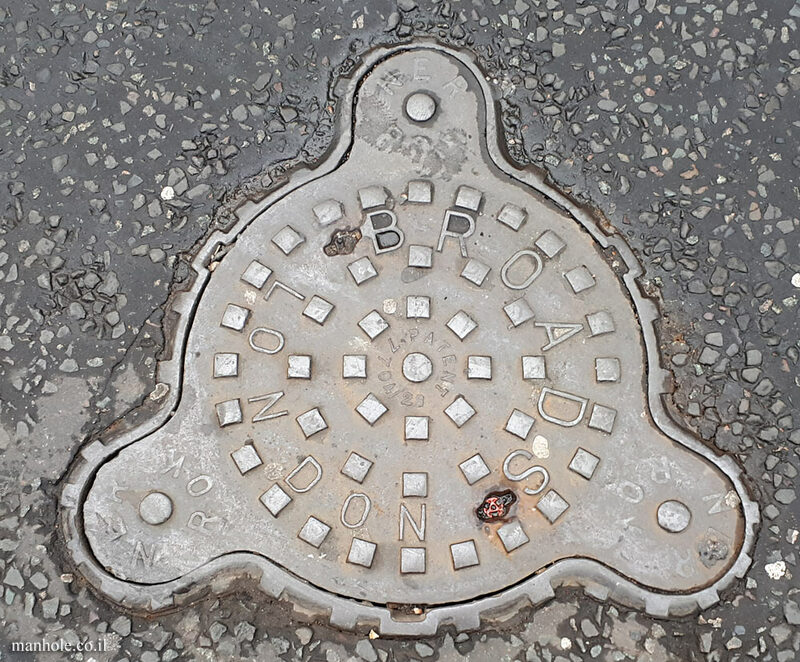 This London cap has a general shape of a triangle consisting of several circles. 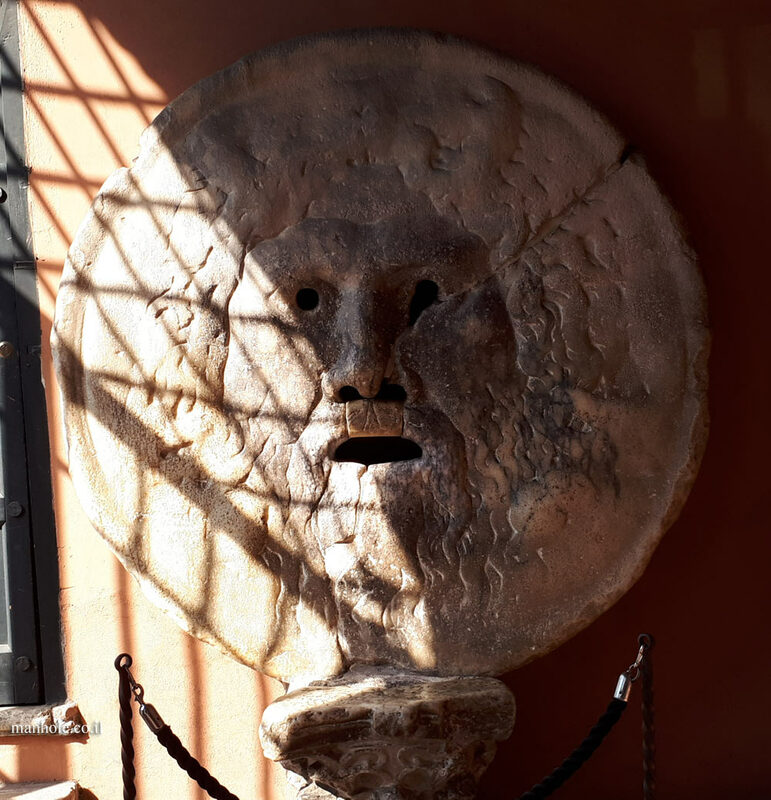 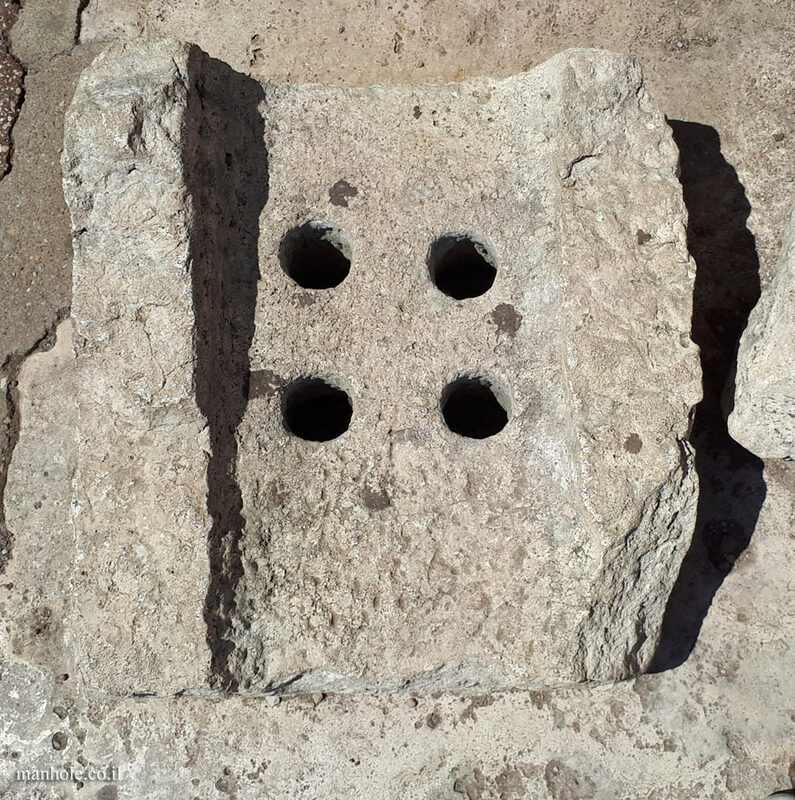 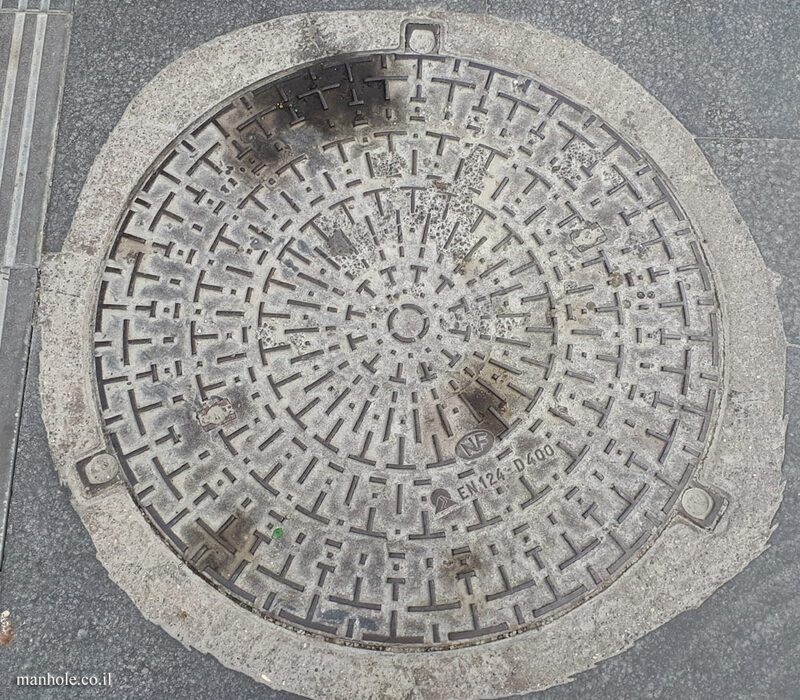 The shape of the lid reminds many of the head of a bear, especially if the image rotates 45 degrees counterclockwise, in this case, the opening holes are used as the eyes of the bear. 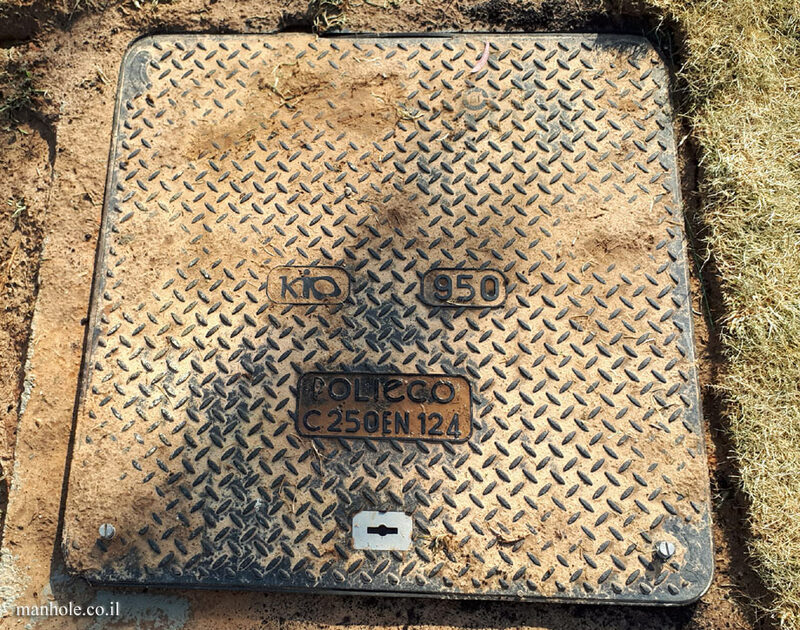 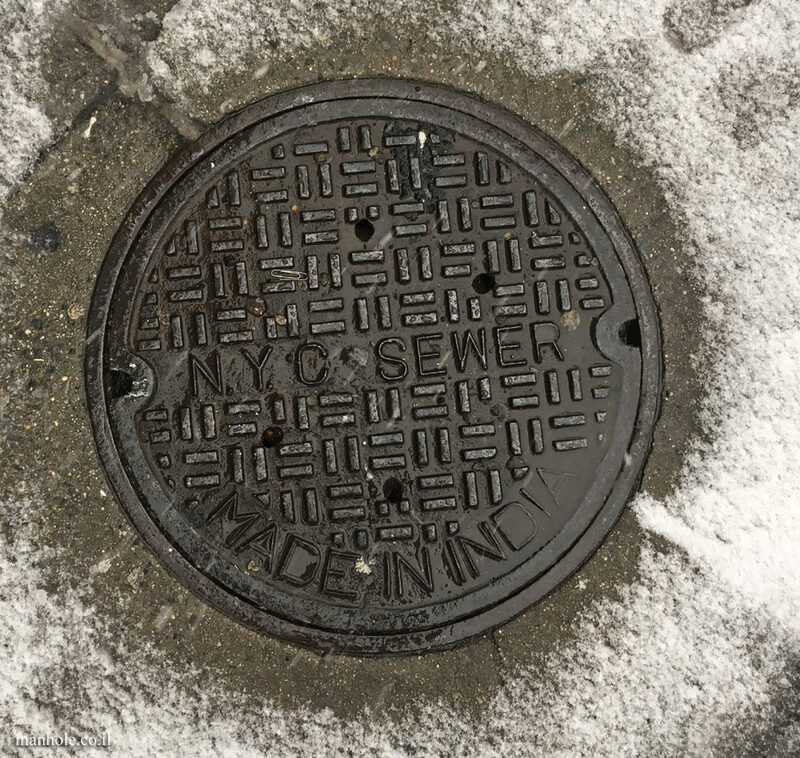 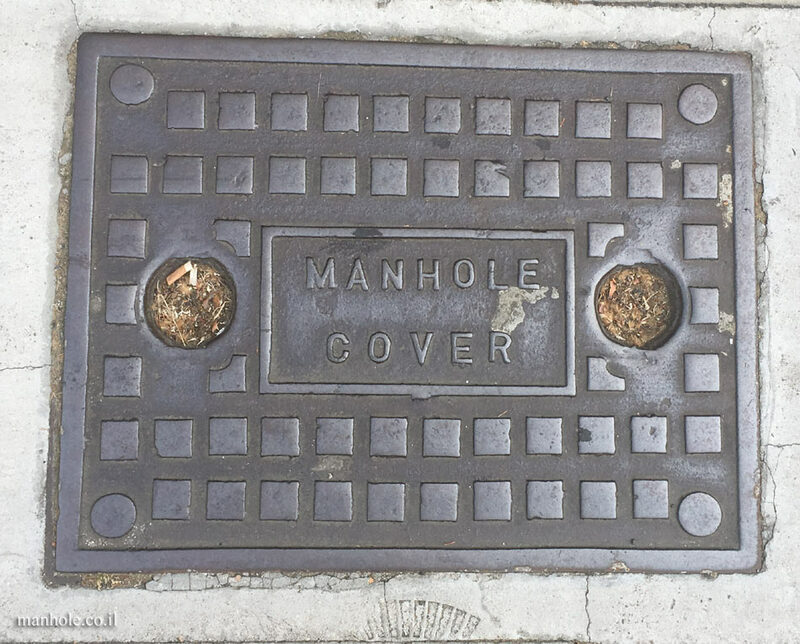 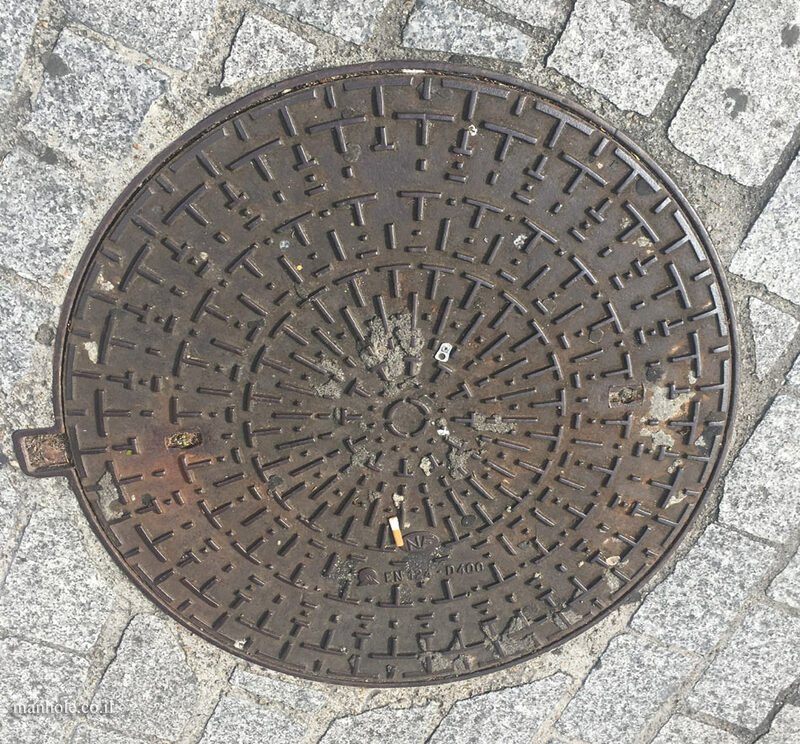 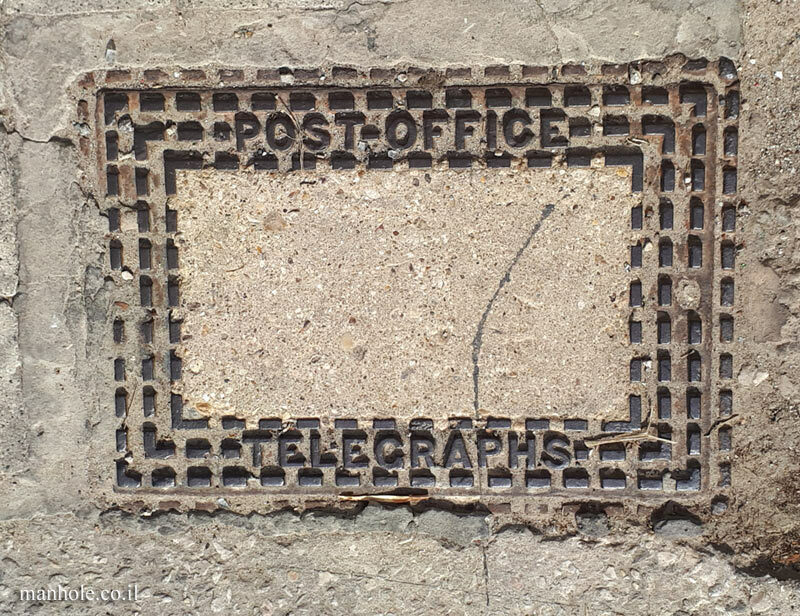 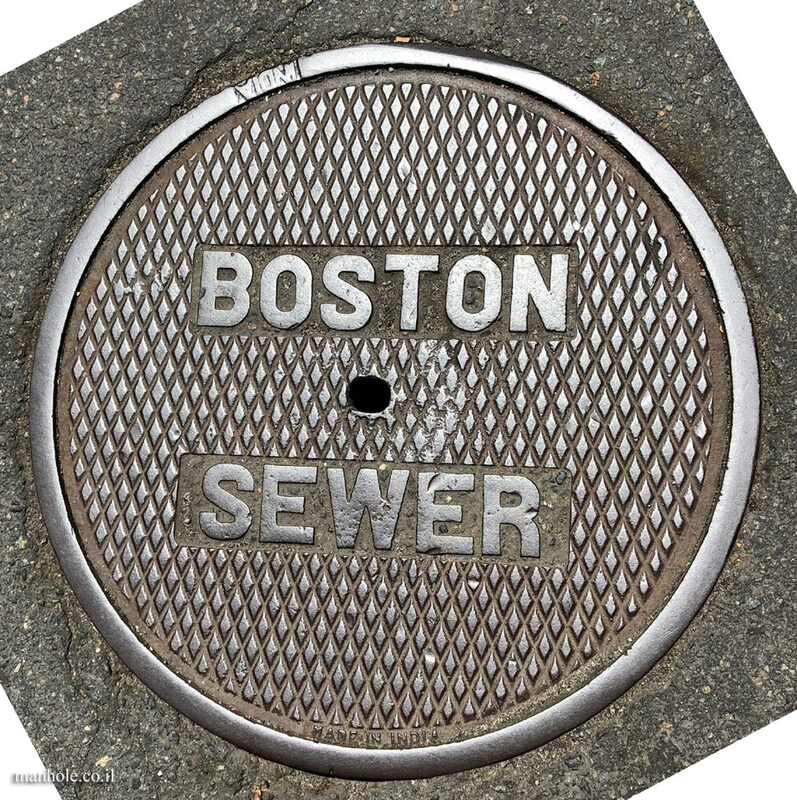 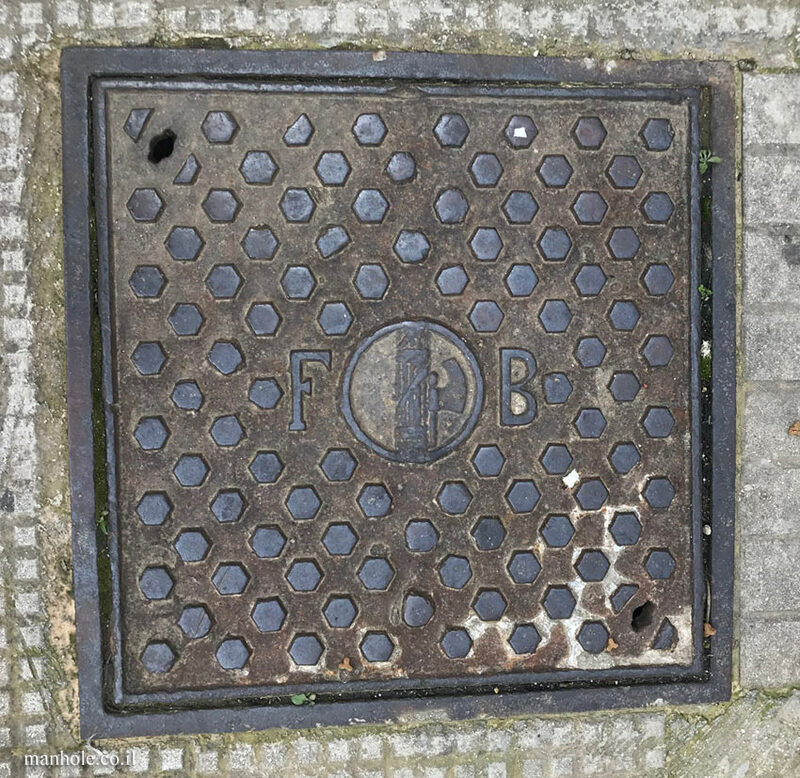 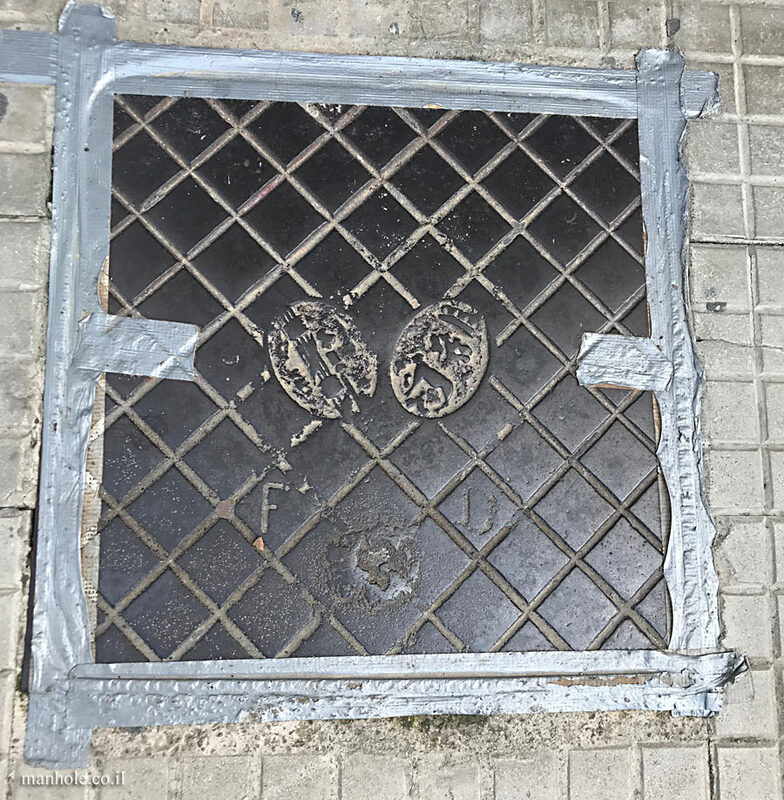 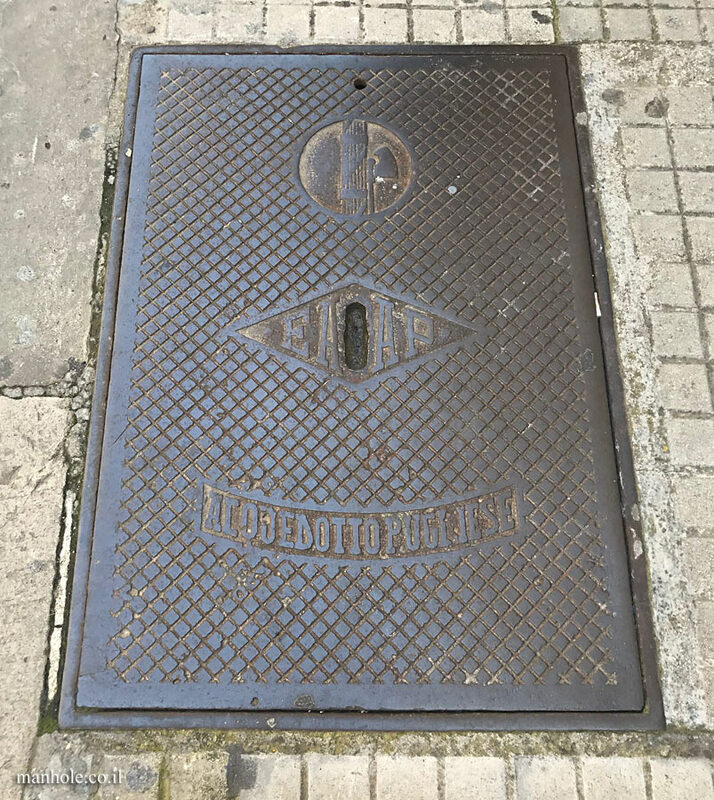 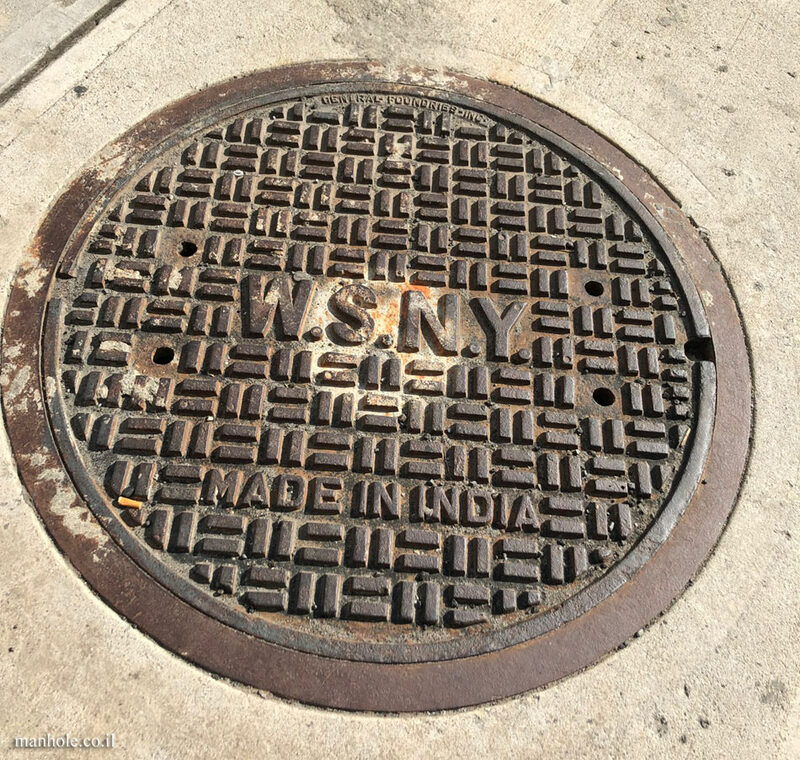 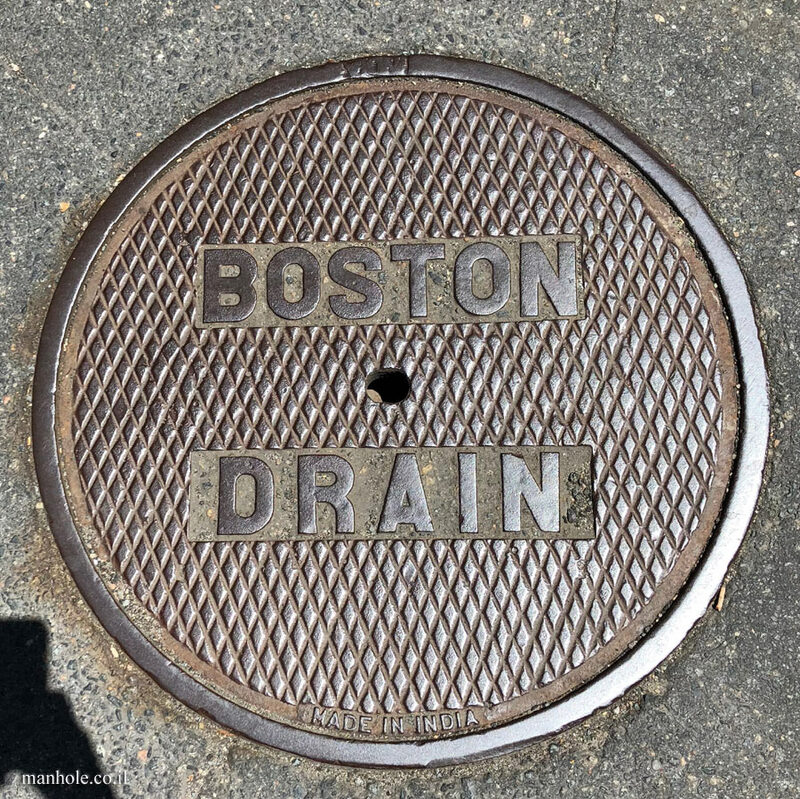 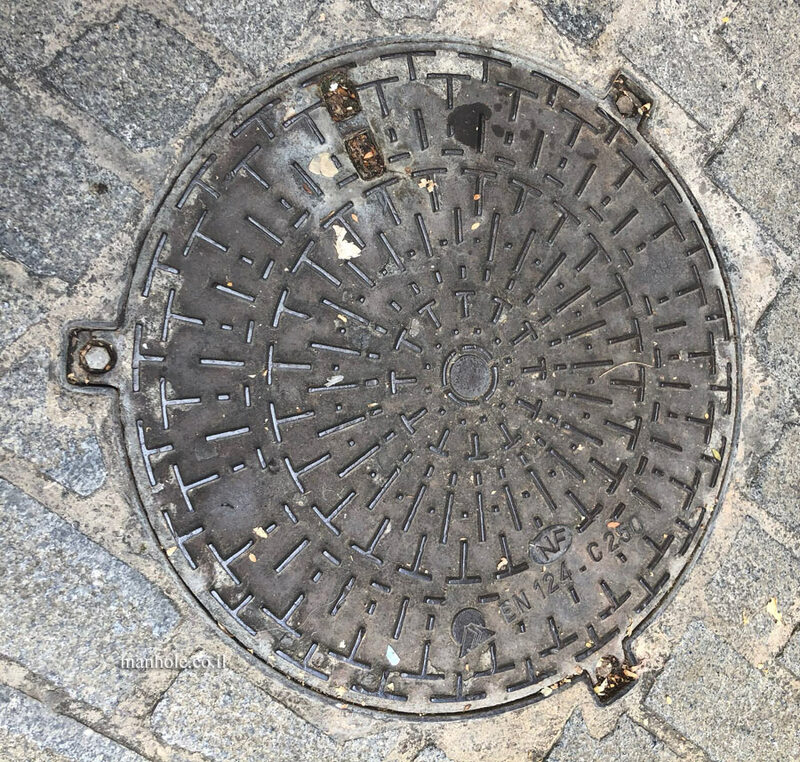 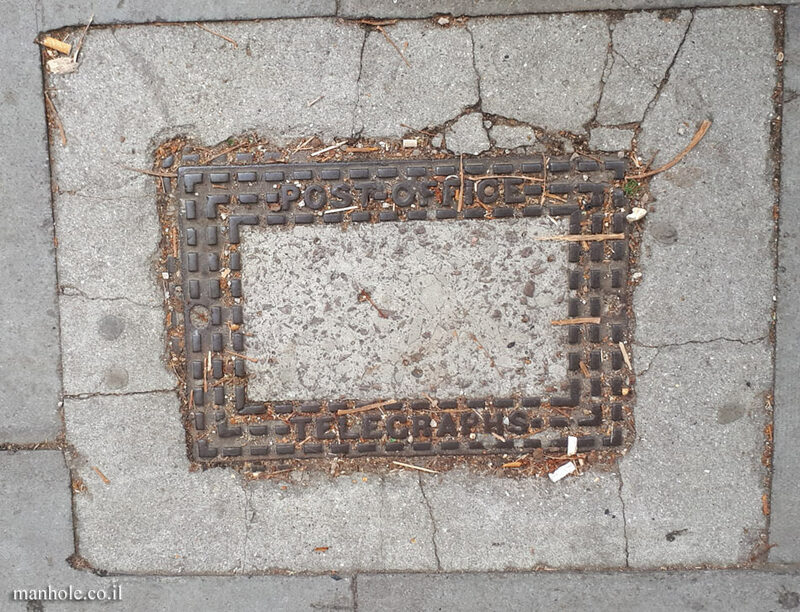 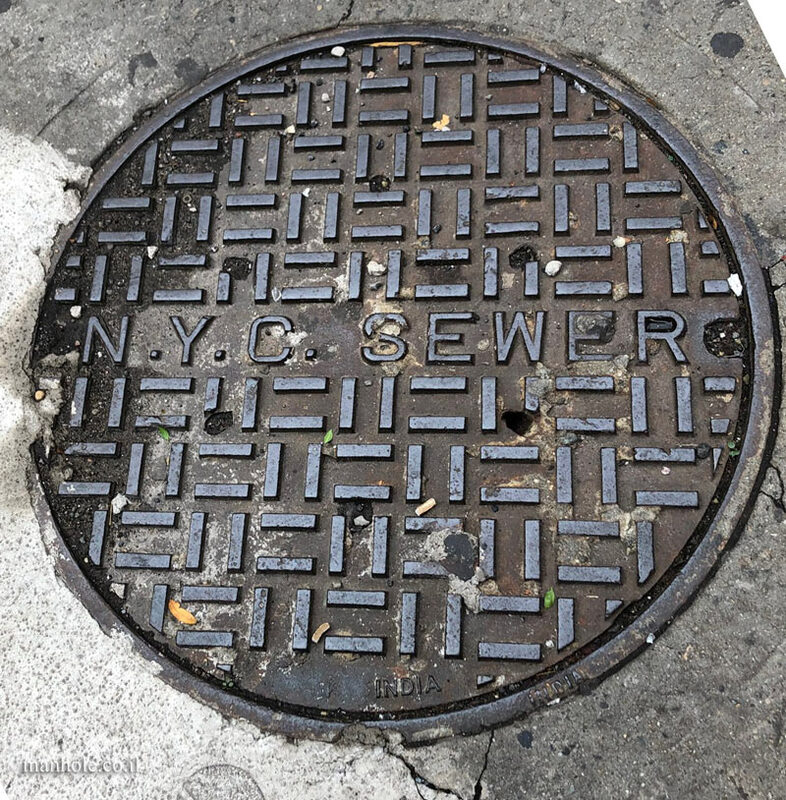 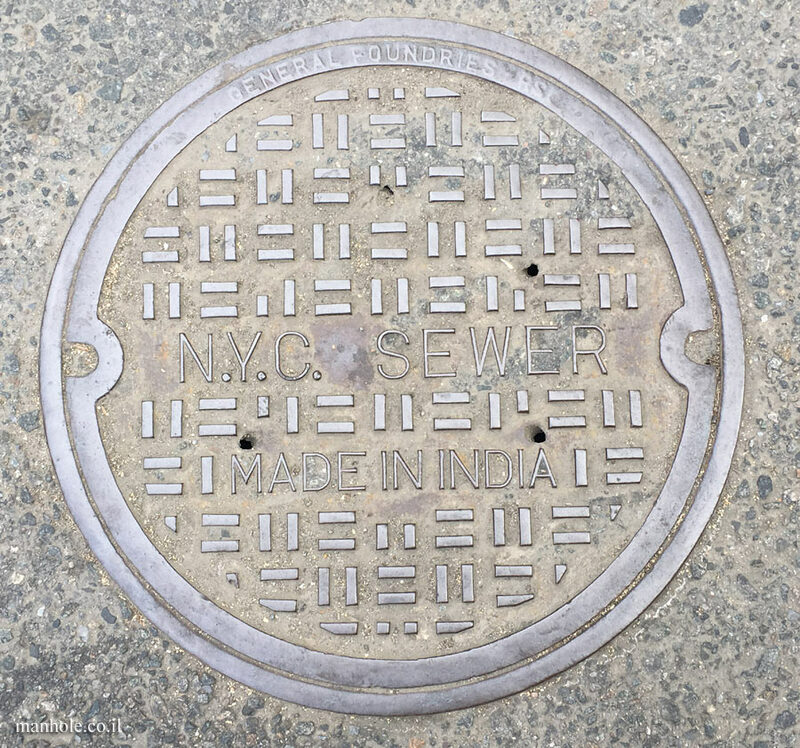 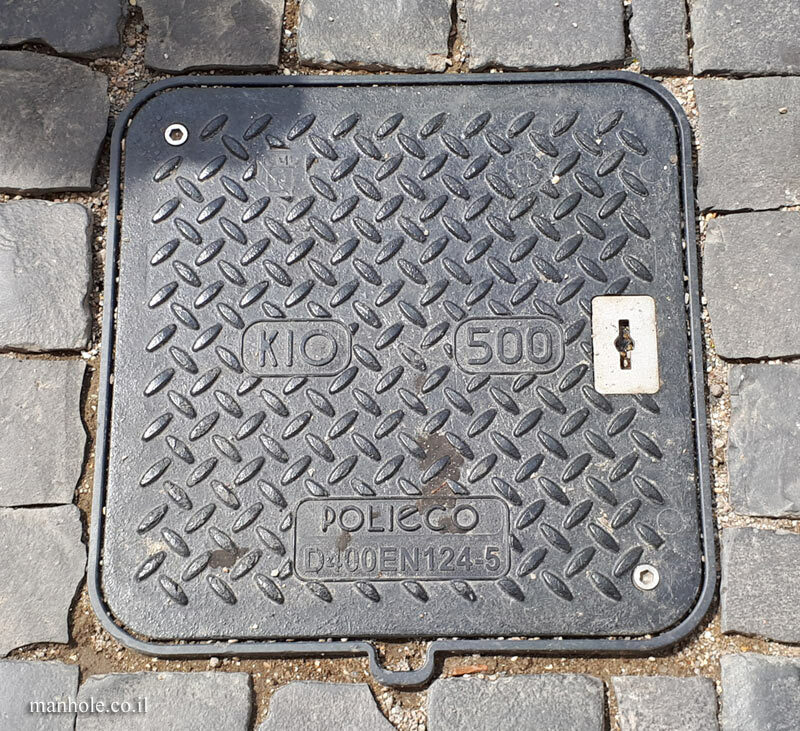 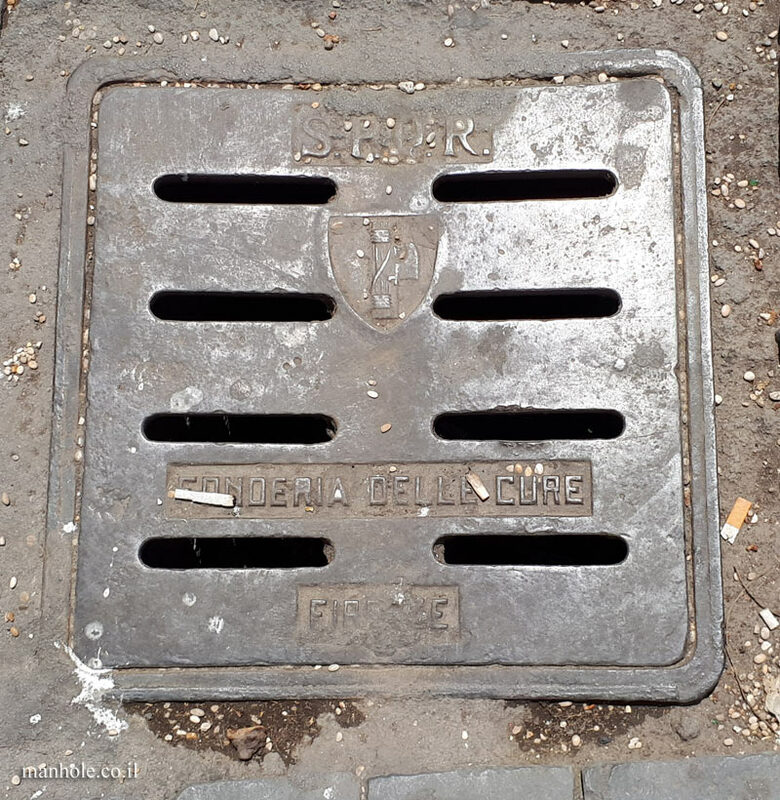 Similarmanhole covers can be found in different countries (mainly in Europe). 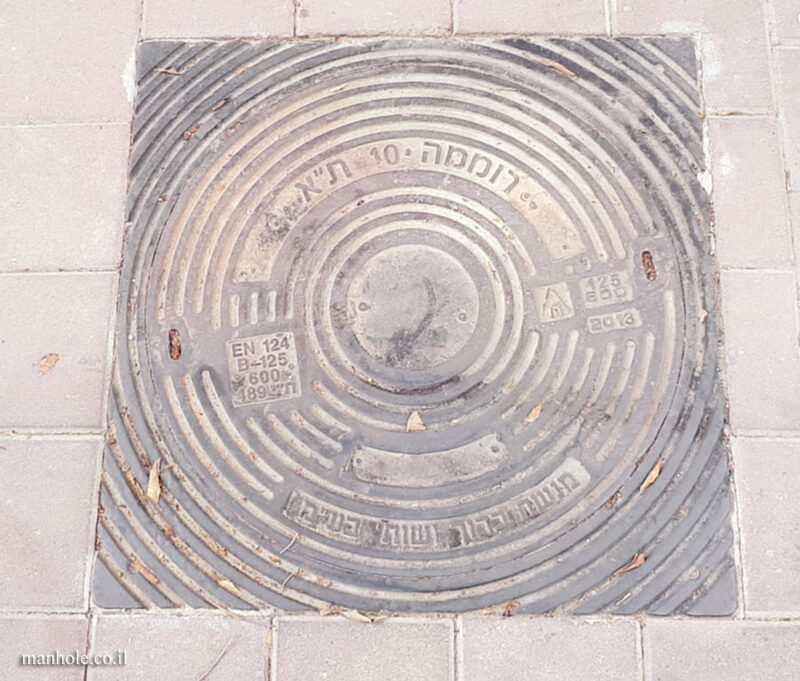 On the one hand, the spiritual center of more than a billion believers, on the other a park to the banks of a river in one of the cities that a considerable part of the population is known as the "capital of sins"
Cover photographed in Tel Aviv is identical to the cover in London . 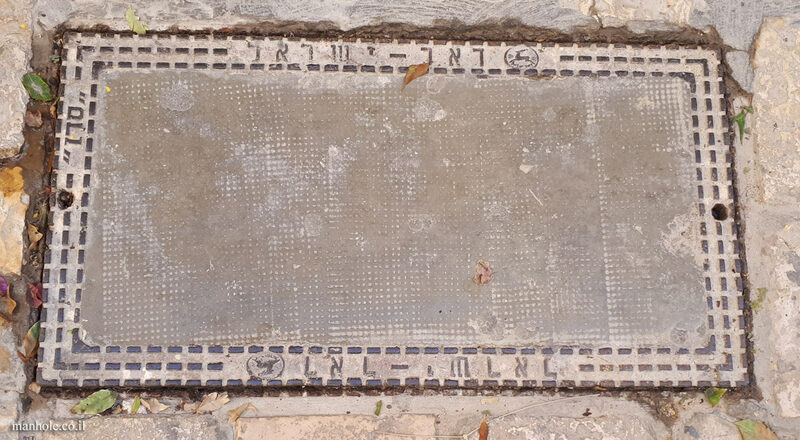 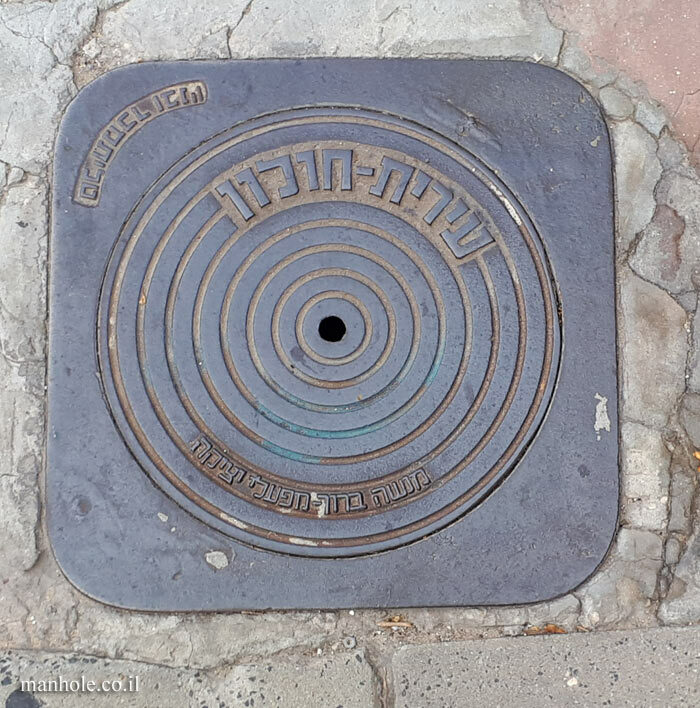 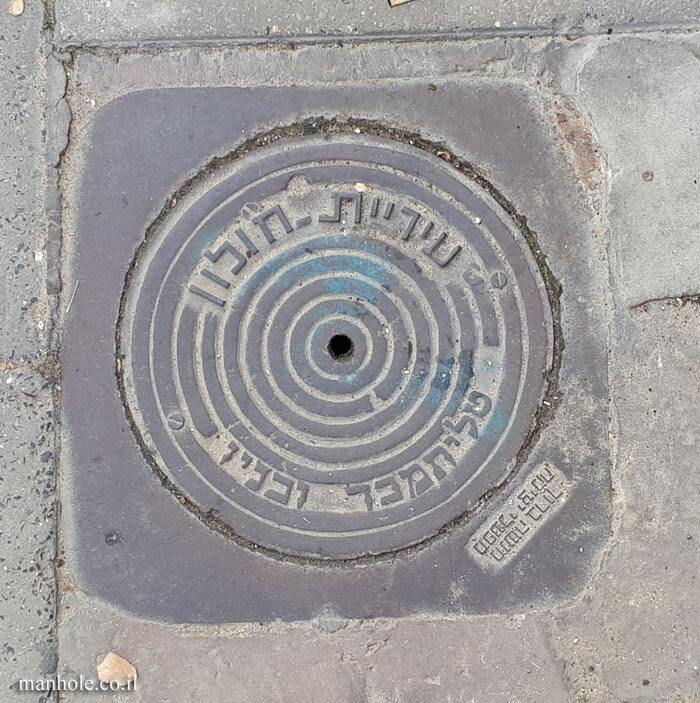 And a wider cover from London was found in Tel-Aviv Later, the shape of the lid remained the same but the text was translated into Hebrew .